Released in summer 2018, Ice Paradise by Novomatic is a 5-reel 3-row 25-payline video slot machine that takes you to the Arctic searching for Wilds, Scatters and Free Spins. It’s time to get some warm clothes and get ready to face Polar Bears, Frozen Symbols, and Golden Scatter on your way. The Ice Paradise slot review shows you how to win and provides valuable tips to land a big win of 3000x your line bet. We have no free play mode available yet, but take a look at the Ice Paradise screenshots instead. Or why not simply giving a try with one of the recommended casino sites above? The first choice you have to make is whether to play for fun or for the real money. This later leads to a specific betting strategy as the coin denomination ranges from €0.01 to €1 and allows wagers between €0.25 and €25 per round. The paytable is packed with frozen fruits of all shapes, colors, and tastes. You will find hand-drawn Lemons, Cherries, Plums, Melons and Oranges standing side by side with Sevens, Bells, and Bars. The Polar Bear works as the Wild and you will surely want to collect as many as possible as they lead to the Ice Paradise bonus prize. Remember that this icon with the highest rating appears on the reels 2, 3 and 4 only. Silver Scatters expand vertically across the reels and you’ll trigger the Ice Paradise free spins round when collecting at least 3 of a kind. During this round, the Golden Scatter may appear to increase your odds and help you land a big win. 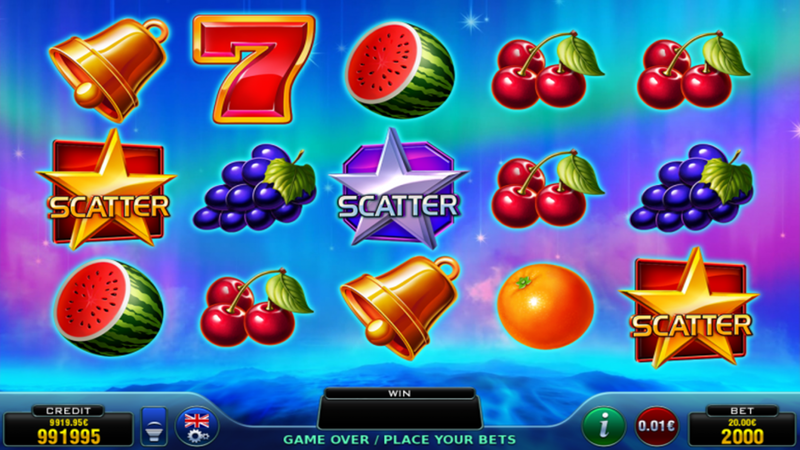 You can play online using any mobile device – smartphone or tablet. There is no need to download the iPhone app or the Android .apk file for this purpose. 3. What is the RTP factor of Ice Paradise? The Ice Paradise recension showed that Novomatic OctaGames series brought a fresh breeze to the provider’s portfolio. The game has all the features that will draw the attention of both novice and more experienced players, so let’s see which category will mark it as a favorite.